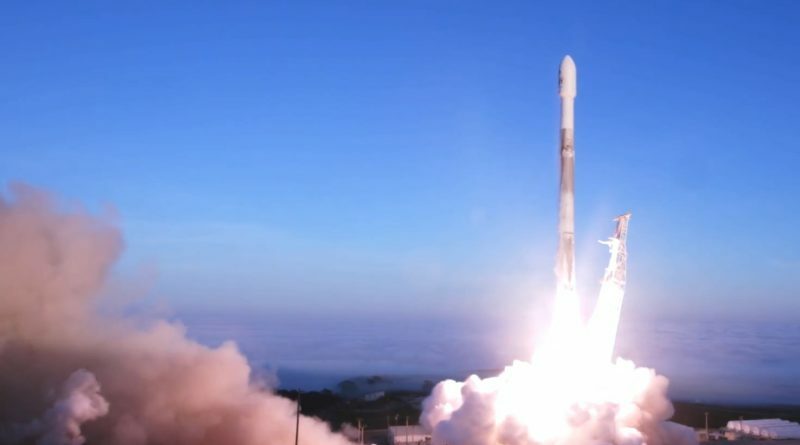 A flight-proven SpaceX Falcon 9 rocket lifted off from SLC-4E at California’s Vandenberg Air Force Base at 14:13:51 UTC on March 30, 2018 with the fifth set of Iridium-NEXT Satellites. The previously used first stage executed a two-and-a-half-minute burn before being expended via some post-separation maneuvers toward a soft splashdown in the Pacific Ocean with no intentions to recover the stage. Stage 2 first lifted the stack into a preliminary orbit before conducting a circularization burn and dispatching the ten satellites on their way into Plane 1 of the Iridium constellation. An attempt to recover one of the rocket’s fairing halves did not succeed due to trouble with the auto-steering parachute.